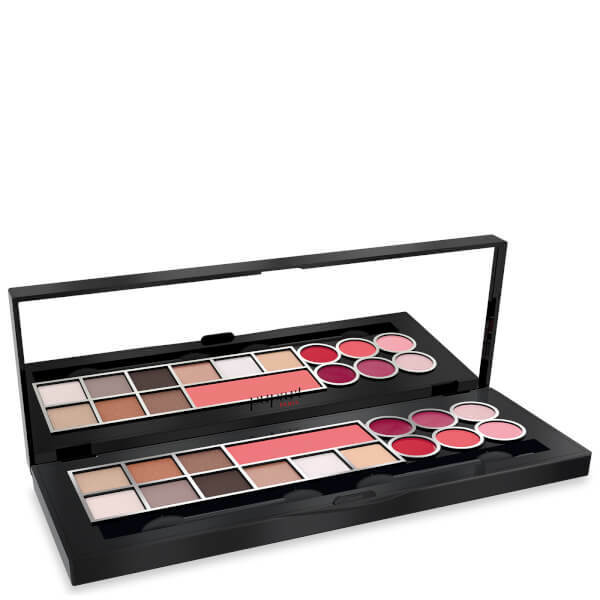 Achieve a flawless makeup look with Pupa's Pupart Red Cover Makeup Palette in 'Warm Shades', a comprehensive makeup kit housing products for the face, lips and eyes. Stored in a slim compact with geometric red design, the makeup palette offers a skin-perfecting concealer to help camouflage blemishes, and an array of warm, neutral-toned eyeshadows that deliver highly pigmented, easy-to-blend colour. The ideal kit for adding a healthy flush to your skin, it also contains a compact blush to make cheeks pop. Complete with six luscious lip glosses, an eye primer and two dual-ended sponge tip applicators. Built-in mirror for on-the-go touch-ups.